The leak in an underground oil reserve in the Gulf of Mexico, which occurred after an explosion on the Deepwater Horizon oil rig leased by British Petroleum is, to make one hell of an understatement, an environmental catastrophe. With an estimated 25-40,000 barrels (4-6.4 million litres) of crude oil having leaked into the ocean every day, even though it has now apparently been capped, heartbreaking and sickening photographs and footage of oil-covered beaches and birds, dead turtles and dolphins are becoming more common. 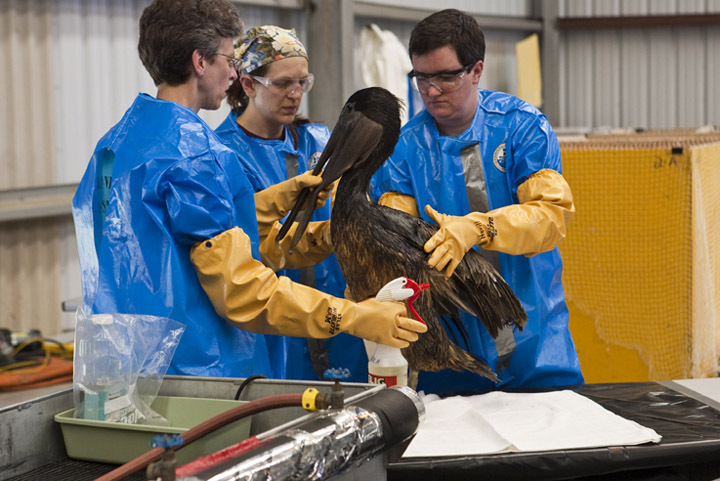 This month’s Science Bit investigates some of the oil spill’s devastating biological effects. As marine organisms naturally die, they sink to the seabed. Under the extremely high pressure and temperature caused by the weight of the sea and more organic material falling on top, the organisms decompose over millions of years into thick, sludgy, carbon-rich crude oil that contains a plethora of different chemicals. It is the carbon-rich property of oil that makes it such a good energy source. By fractioning off and manipulating the different carbon-containing components of crude oil, we can yield petrol, diesel, kerosene and other energy-rich, yet non-renewable, fuels. Yet these fuels, and other components of oil including benzene, mercury and sulphurous compounds, are highly toxic to life. Simply putting your hands into the oily sea around the Gulf Coast could cause your skin to itch, your eyes to water and your airways to constrict, as in an asthmatic episode. At least we have the advantage of being able to wash off the foul liquid – what about the birds and animals that live in the Gulf region? Seabirds, such as the pelican pictured, rely on the perfect alignment of their feathers in order to prevent cold water or air penetrating through to the skin. If they become covered in oil however, the feathers matt together and are improperly aligned, which can cause birds to suffer from fatal hypothermia. In addition, the oil adds weight to the body and so renders the birds unable to fly or float on the water’s surface. What’s more, in an effort to preen the feathers and remove the oil, they can end up digesting it, which is hazardous to the internal organs. Sadly, although effective to an extent, washing birds with detergent has a very low success rate because by this time, the birds become so stressed that they die of fright. Sea-dwelling animals also suffer. For seals, who have an insulating fur covering their bodies, oil has a similar effect to the clogging of bird’s feathers, leaving them unable to regulate their body temperature. The mangrove dwelling dugong, or manatee, already an endangered species because of the destruction of its habitat, suffers damage to the delicate, hair-like sensory cells in their mouths, causing them to starve through not being able to feed properly. Fish and shellfish ingest the poisonous oil, and in turn pass this through the food chain when eaten by larger predators. 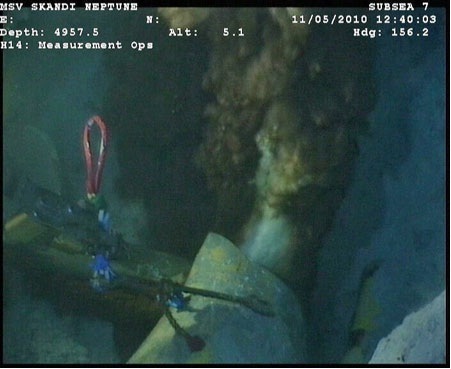 Plugging the hole in the leaking oil line is a major step forward in recovering from this disaster, but the effects of the oil will be felt in the Gulf ecosystems for many years to come. Chemical dispersants used to break up the oil can be almost as toxic as the oil itself and the decline in fish, shellfish, marine plant and animal stocks will take a long time to recover, if they ever do. Sad, very sad. Indeed that the birds, fishes and other creatures of the sea can’t sue. BP. you and me.